Vintage fashion is on the rise with old-gen trends back in vogue. 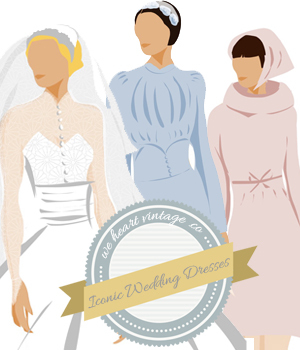 Vintage clothing from the 1960s comprise everything from floral patterns, bright colors and dresses drenched in sequins; pretty much the kind of fashion that’s highly in demand for summer 2013! However, most of the vintage trends are now accompanied by a modern vibe. Striped tunics essentially have a bold striped pattern on them that really catches the eye. Striped clothing remains popular to this day among both men and women of all ages. Whether its formal clothing or casual, stripes are ever in fashion and can be worked with for both kinds of wardrobes. Striped tunics were often stitched quite loose and can be worn with fitted pants or tights along with some nice ballet shoes in this season. Floral patterned pants were quite in vogue in 1960s, preferably with a white background. They were also tailored to have high waists; pair them with blouses or shirts that can be tucked in. For summer 2013, you can consider tops that are sleeveless to facilitate a more casual look. A Longchamp Le Pliage Python handbag with this look would be a great option as animal prints are in fashion as accessories. The Beatles were a popular band from the 1960s – you might have heard of them. Shift dresses with their name and band members printed were quite a hit. Shift dresses are essentially form fitted, sleeveless dresses that measure till knee length. You can pair a printed shift dress with some edgy cut out wedges and a smart satchel bag to keep all your necessities in tow. For formal wear, sequined dresses were quite the thing back in 1960s. Such dresses were simply tailored in the A-line style and fitted bodices. Sequined dresses essentially had every inch of their fabric covered in sequins. The sequins could either be in a single color albeit a bright color such as green, or could be in different colors to bring about a more multi-colored dress. A sequined dress can be paired with high heeled pumps and. The more overwhelming you can make this outfit, the better. This ensemble is probably one of the highlights of the 1960s fashion. Though mostly formal wear, most of the suits were in bright colors such as bright pink or lime green. The trend featured coats and skirts made from striped or checkered pattern fabric. You can opt for coats that are kept short and long sleeved, with double buttons on the front. Pair up a dramatic hat with the suit in patterns such as the turban or smaller styles with lots of floral detailing. Vintage clothing is best worn with some touches of the modern to make your outfit vintage yet contemporary at the same time. Pairing the sequined dresses with the popular glittery high heeled pumps is definitely one place to begin as vintage clothing makes quite an impact when worn at formal occasions.